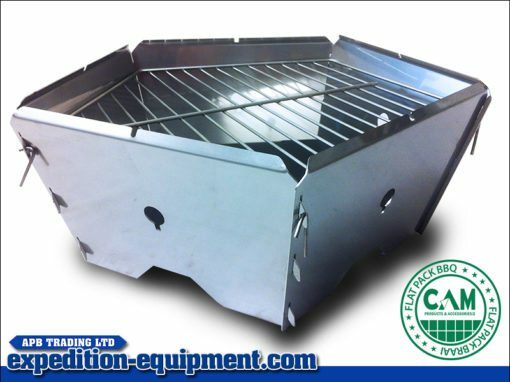 A lightweight, foldable, stainless steel braai for any occasion. 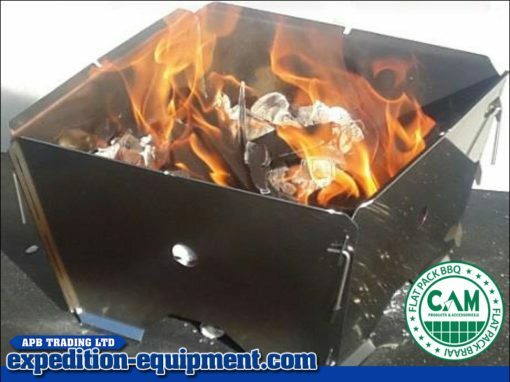 No excuse NOT to braai!Ideal for bikers, hikers, truck drivers, hunters, rugby, picnics, camping and anyone wanting to have a quick and easy braai. PORTABLE – The barbecue can be easily packed and transported in a neat ripstop bag. 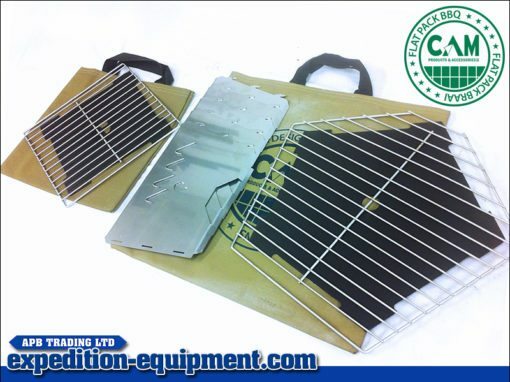 SIMPLE SETUP – The Grill/BBQ consists of only 4 or 5 panels (depending on which size grill you make up), a base plate, a grill plate and a ripstop bag. QUICK SETUP – The barbecue can be set up within 30 seconds. (SEE DEMO VIDEO LINKS). 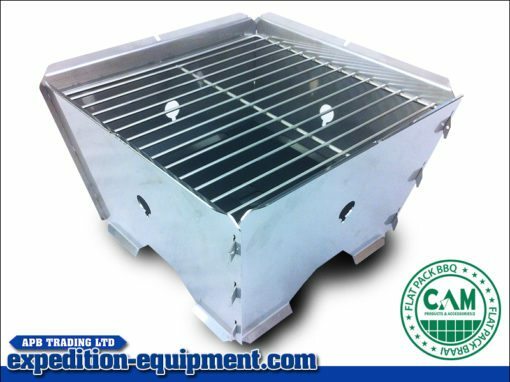 QUALITY – The Grill/BBQ is made of quality materials and is excellent at handling heat. 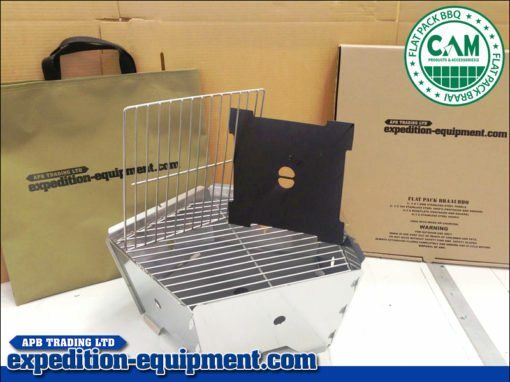 EASY CLEAN – Dishwasher Safe.